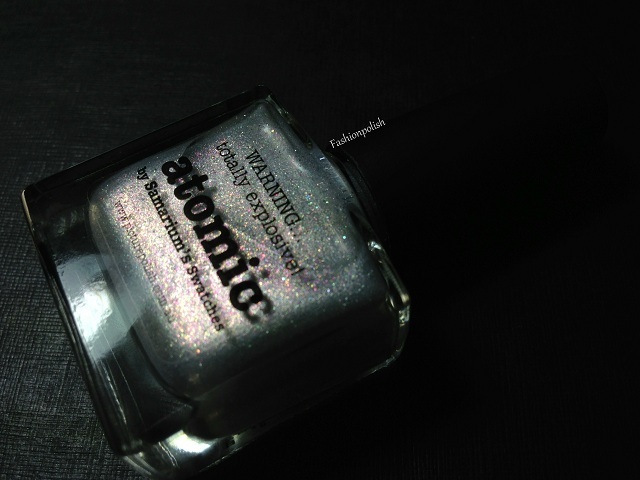 Fashion Polish: piCture pOlish Atomic by Samarium's Swatches! 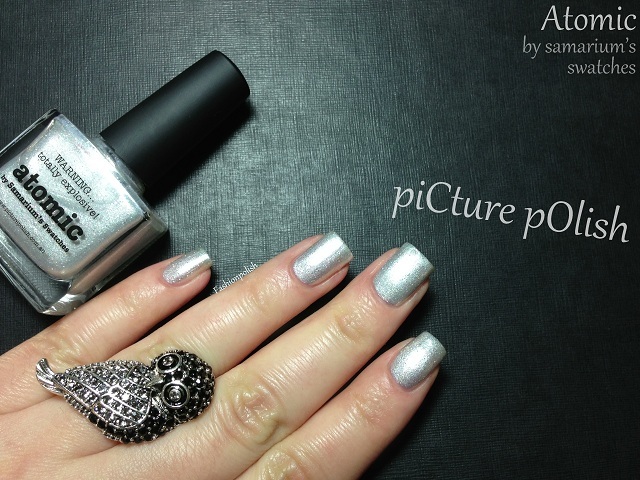 piCture pOlish Atomic by Samarium's Swatches! A couple of weeks ago, piCture pOlish has revealed a brand new set of collaboration shades. With bloggers from all around the world! 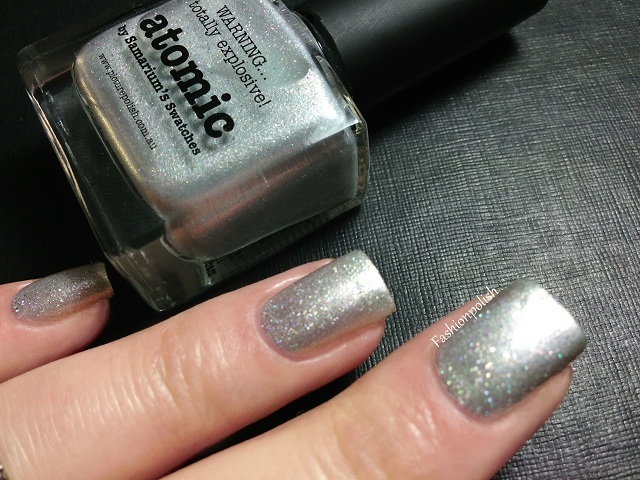 Today, I have Atomic for review, created by my girl Sarah from Samarium's Swatches. 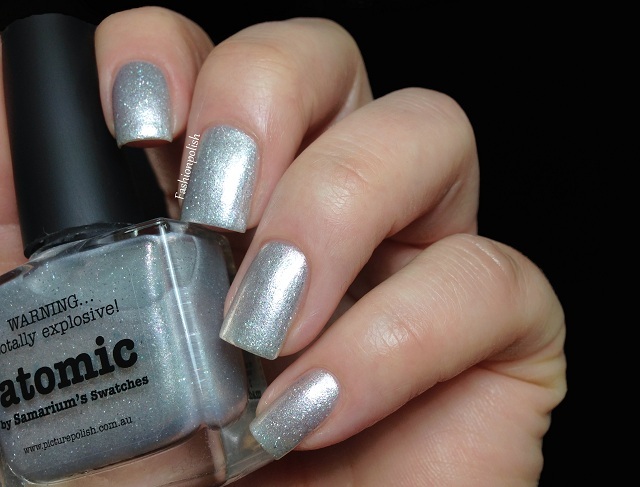 piCture pOlish Atomic is a light silver shimmer packed with a ton of holographic flecks. It's a really pretty shade, very subtle but so lovely on the nails! Formula was flawless, even and pigmented, I didn't experience any issues whatesoever. I used 2 coats plus topcoat on all of these swatches. And the when the light hits it just right, you can see it come to life! piCture pOlish Atomic retails for AU$11.50 and can be purchased directly from piCture pOlish.com.au or through their international network. Grab yours while you can! :D I love it on you! This is a beautiful silver! I haven't seen anything quite like it. Love the color and love your ring! Such a beautiful nail shape. What a beautiful shade - I also had to have ist and am smitten by its delicacy and wearability. very pretty! is it one of those shades that look different all the time?